These are lyrics by Charlie Robison that we think are kind of repetitive. 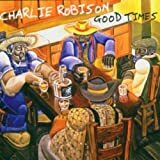 Charlie Robison's, "El Cerrito Place"
I've been looking for ya, baby! Saying this over and over again is not going to make your 'baby' appear, Charlie!